Plan de la Tour. Stunning 17th century stone villa. Plan de la Tour. Authentic stone villa of 300m2 from the 17th Century. Completely renovated . . .
Plan de la Tour-Fabulous 5 bed villa with mosaic pool and superb summer kitchen. Viewing recommended for this beautiful villa which is ready to move into straight away. Plan de la Tour: On the 2nd floor with mezzanine areas, these apartments are really special . 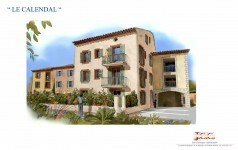 . .
Plan de la Tour: The three 3-bedroom apartments are situated on the ground, 1st and 2nd . . .
Plan de la Tour: The four 2-bedroom apartments are situated on the ground and 1st floors and . . .
Plan de la Tour: Situated on the ground floor is this 51 m2 1-bedroom apartment. The front . . .
St Maxime-fabulous 4 bed property with pool and only 600m from the beach. Great opportunity. Originally price at just under one million euros. Viewing highly recommended. Villa with pool and beautiful sea views with a main house an independent apartment for sale . . .
Saint Maxime villa with large living room, fully equiped kitchen and 3 bedrooms. Bathroom . . .
St Maxime-Fabulous mountain and sea views from this 5 bed villa in this sought after location. 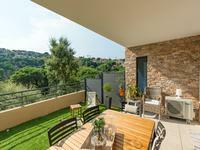 Provençal villa in St Maxime's semaphore district with panoramic views of the hills and sea. St Maxime-Superb sea views from this 6 bed Villa with oodles of character, close to Nartelle beach. Fabulous opportunity to own a slice of heaven. Perfect as a renovation project or to live in . . .